Brokers are neighborhood party operatives that gather political support for their bosses in poor areas, and networks of brokers are a key element for political machines to compete in the political arena. The Daley machine in Chicago, the Institutional Revolutionary Party (PRI) in Mexico, and the Nationalist Party (KMT) in Taiwan, for example, have all developed extensive networks of brokers to permeate poor areas. Brokers generally live in the same poor neighborhood where they carry on political activities and have a long experience of grassroots politics. For their neighbors, they are the source of solutions for many everyday problems (Auyero 2001). They are in permanent touch with neighbors and have detailed knowledge of their needs and possible solutions. One of the party machines that has been most studied by scholars is the Peronist Party (PJ) in Argentina. I use here the case of the PJ to describe the complete set of roles and strategies that brokers perform for their parties. 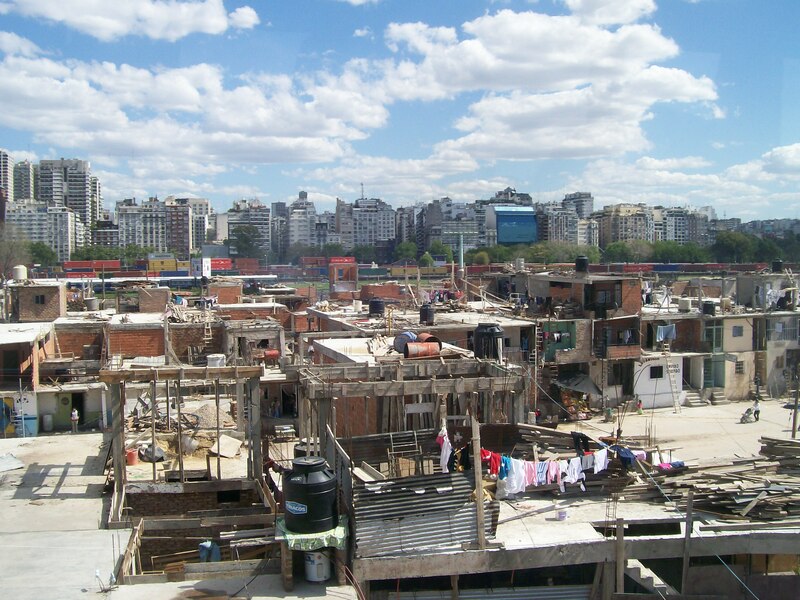 The PJ machine has its stronghold in the Conurbano Bonaerense (CB), 33 mainly poor municipalities surrounding the capital city of Buenos Aires, where mayors command large networks of brokers embedded in poor neighborhoods. The CB has a population of more than 10 million, accounting for 26 percent of the national electorate, concentrated in around 1.2% of the national territory. By any standard measure of poverty, this area shows poorer rates than the country as a whole. Given the high concentration of population, the high poverty rate and low penetration of media, especially newspapers, in the CB, brokers are crucial political actors for the PJ’s electoral success. The PJ has won five out of seven presidential elections since re-democratization in 1983, and currently governs 30 of these 33 municipalities. The two Peronist frontrunners for the next presidential election in 2015, Daniel Scioli and Sergio Massa, compete to lure the support of CB mayors that command large networks of brokers. My considerations about the PJ’s electoral machine are based on substantial observation of politics at ground level as well as interviews with 120 brokers in the CB. Scholars' attention has been captured by the fact that in developing countries social benefits are seldom distributed impartially by a professional state bureaucracy, but discretionally by political brokers seeking electoral results. However, scholars often ignore brokers' activities and strategies that go beyond vote-buying and that are also important for the electoral hegemony of their parties. The existing literature is restricted to explaining that brokers discretionally transfer resources to voters who then cast their votes as the brokers tell them. It generally argues that clients vote as their brokers wish either because they want to reciprocate and show gratitude or because their brokers violate the secrecy of the ballot to monitor how clients cast their votes. Summarizing a paper recently published in Latin American Politics and Society (Zarazaga 2014), I show here the complete set of brokers' roles and provide a different rationale to account for clients´ compliance with their brokers. The current literature fails to recognize that brokers not only help their parties access power, but also help them exercise power. Brokers are part of each mayor's governance structure and receive an income from the state. They provide their bosses with information, access to rough areas, and operational expertise. A municipal Sub-Secretary of Government explains this role as follows: “They [brokers] put us, the government, in touch with reality. They are the ones who know how we are with the people. We make the decisions, but they make those decisions work in reality” (Zarazaga 2014; 27). Brokers regularly deliver, or help with the logistics to provide, neighborhood public goods and services, such as street lighting in dark areas, bus shelters, and garbage trucks. Brokers also provide security in rough areas. For example, they help municipal employees enter dangerous areas to perform jobs. One mayor said, “There are about 20 slums in my municipality; it would be impossible for me to enter any of those without my brokers” (Zarazaga 2014, 28). In April 1989 and in December 2001, when hyperinflation and shortages left poor people without food, riots and looting broke out in several areas of the CB. Brokers were crucial in either encouraging looting or preventing it depending on whom they were working for. In short, brokers play a role beyond clientelism in assuring the governability of poor municipalities. Brokers also provide politicians with an army of campaign workers in poor areas. Scholars frequently ignore that brokers are expected to take part in election campaigning just like activists from any other party. At election time, brokers and their followers canvass from door to door, plaster posters, and paint walls with candidates' names. In poor neighborhoods, Peronist brokers constantly visit voters' homes, leaving ballots and inviting them to neighborhood gatherings to meet the candidates. As one broker told me: “Good governance or clientelism are not enough to win an election; candidates need voters to have their names in their minds.” (Zarazaga 2014, 30). The low penetration of press media in poor areas turns brokers into important campaign agents. Painting graffiti and hanging posters is part of their everyday routine during elections. When different Peronist candidates compete, the competition for walls, signposts, and other spaces for graffiti and posters often leads to violent fights between rival groups, especially when one group tries to obliterate or remove rival propaganda. A former governor of Buenos Aires confessed to me that “during the campaign you are obsessed with having brokers keep painting graffiti to a point where you do not care if they are involved in drugs, fights, or illegal issues. You just want them to paint and you give them resources to do it” (Zarazaga 2014, 9). Another task in which brokers play a crucial role is supervising elections. They act as fiscales de mesa (party polling officials) preventing fraud by competitors and at the same time committing fraud themselves if they have the chance. It is common that brokers steal opposition ballots so that voters can only pick among the ones that remain; they even send their followers to vote at regular intervals and steal opposition ballots. While nobody really knows the effects of fraud on elections, it is clear that candidates need party polling officials to prevent it and that brokers fulfill this role. An ex-governor of Buenos Aires told me: “Unless you have an army of brokers to supervise the election in the CB, you can be sure it will be stolen from you” (Zarazaga 2014, 36). Brokers are multitasked because they have two fundamental characteristics that politicians exploit in every realm of grassroots politics; their access to every part of their neighborhoods and their knowledge of the people. That brokers perform all these roles does not mean that they do not also carry on clientelistic strategies. In fact, they spend a great deal of their time trying to obtain resources to distribute in a discretional manner in exchange for political support. Resources named by brokers in the interviews included: jobs, workfare programs, food, medicine, clothes, shoes, coffins, school materials, appliances, bricks, zinc sheets, cash, marihuana and other illegal drugs, and many others. In return, clients are expected to provide their brokers with two forms of political support: they are expected to turn out at rallies and vote as their brokers indicate. One broker, who had allocated a workfare program to a voter and then found him rallying for another broker, commented: “They didn’t come to rally for me. Now they will see. I will cut off their oxygen [meaning their jobs]” (Zarazaga 2014, 31). Forty-eight brokers admitted at some point of the interview that they allocated resources in a discretional way. A broker candidly admitted: “Well, of course, I am not stupid, I know I need to deliver votes; I give the food to the poor people who will vote for my candidate. I need to sustain my share of the votes. But they certainly need this help” (Zarazaga 2014, 33). In permanent contact with poor voters and with almost perfect information about them, brokers are ideally placed to efficiently buy votes. Brokers can easily monitor which clients turn out at rallies; however, given the secret ballot, they can never be sure which way their clients will vote. Clients could potentially receive resources from them and then vote as they wish. While some brokers may violate the secrecy of the ballot by asking their clients to take shots with their cells of how they cast their votes or to fold the ballot in a particular way, the logistics of monitoring each voter is too complicated for these practices to be widespread. None of the brokers I interviewed thought it possible to check how an individual had voted. Even brokers who admitted to cheating on election day denied this possibility. Scholars who have done intensive field work find little or no evidence of monitoring (Auyero 2001; Levitsky 2003; Oliveros 2012; Calvo and Murillo 2013). Nor is it clear why brokers are assumed to be rational actors, maximizing votes, while voters are assumed to be irrational, simply voting out of gratitude for their brokers even against their preferences. Neither monitoring nor reciprocity seems to fully account for voters' compliance with clientelist deals. According to brokers' narratives, voters are rational actors that want to keep brokers that deliver to them. Not every broker is the same: some brokers make promise that they cannot fulfill. Voters prefer deal with brokers who have kept their promises in the past, because past deliveries prove that those brokers are reliable. Once voters have seen that a broker can deliver, they will support that broker; they choose to do so because they know that they can rely on that broker to deliver more goods in the future (Zarazaga 2013). For the poor, the best brokers are the next-door neighbors who have solved problems for them in the past (Auyero 2001); they are the most reliable source of solutions for future problems. While PJ brokers build their reputation and credibility in poor areas by responding to voters’ concerns, other parties often lack representation. In an era in which media messaging seems to be the key means to winning elections, in Argentina an equally important factor is control of networks of brokers. PJ candidates running for the presidency in 2015 are currently competing for the control of these networks. Auyero, Javier. 2001. Poor People's Politics: Peronist Survival Networks and the Legacy of Evita. Durham: Duke University Press. Calvo, Ernesto, and María Victoria Murillo. 2013. When Parties Meet Voters: Partisan Networks and Distributive Expectations in Argentina and Chile. Comparative Political Studies 46 (7) 851-882. Levitsky, Steven. 2003. Transforming Labor-based Parties in Latin America. Cambridge: Cambridge University Press. Oliveros, Virginia. 2012. "Patronage Contracts and Political Competition." Presented at the Midwest Political Science Association National Conference, Chicago. Zarazaga, Rodrigo (2014), “Brokers Beyond Clientelism: A New Perspective Through the Argentine Case”, Latin American Politics and Society, 56 (3) 23-45. Director of CIAS and Senior Researcher. Jesuit Priest, BA in Philosophy and Theology, Doctor in Political Science from UC Berkeley and Post Doc at the University of Notre Dame. His research focuses on problems of redistribution, cronyism and electoral politics. To clarify these issues, he has developed formal models (Game Theory) that capture the strategic interaction between political actors. He is the author of the book “The poverty of a rich country” and of articles published in Stromata.